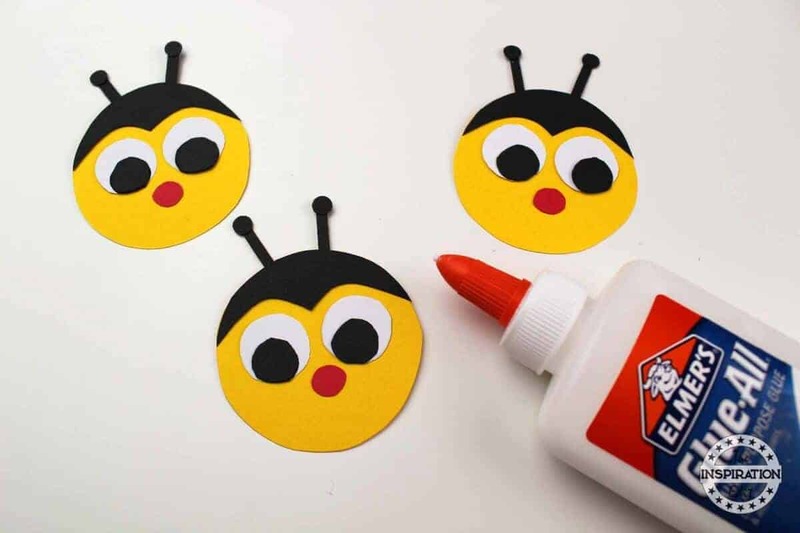 This Bumble Bee craft is a fantastic spring themed activity for little ones. 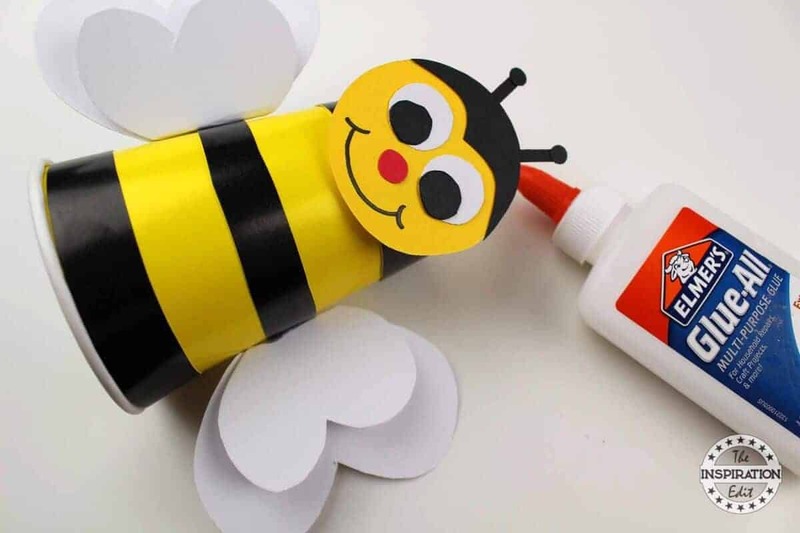 If you’re looking for a preschool craft idea that’s easy and simple to make then look no further. 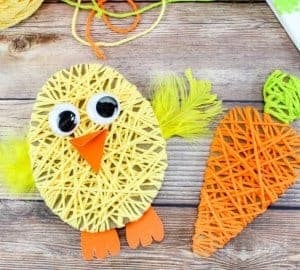 As an early years teacher, I loved creating spring crafts with my preschool kids. 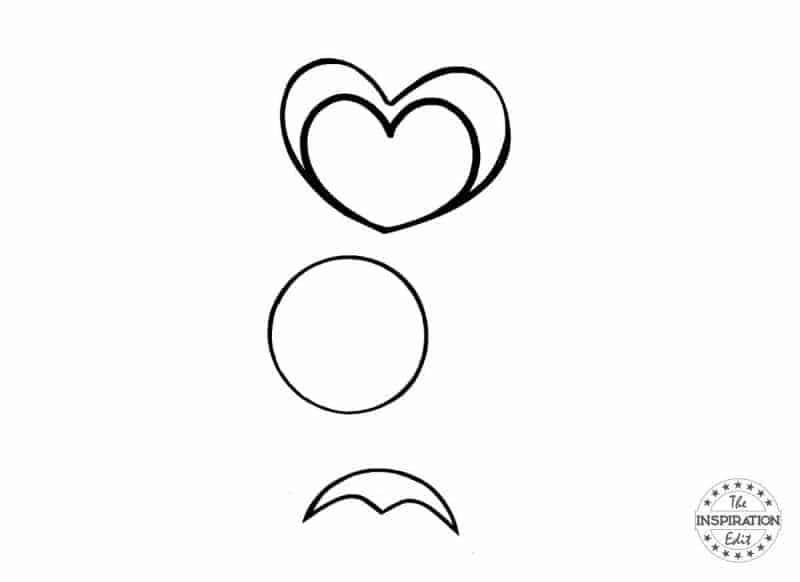 They say it’s the process that is most important not the end product and I totally agree. 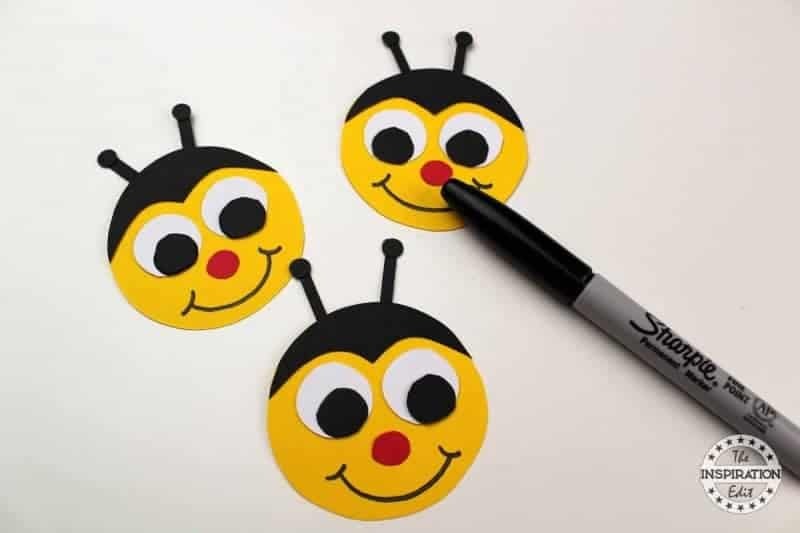 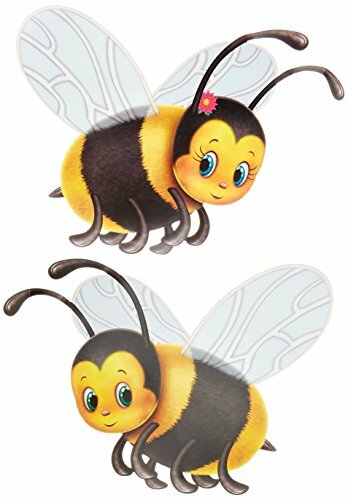 This fun bumble bee activity is a great way to introduce kids to the concept of Bees and pollination. You can use this activity to teach and edu ate kids about how bees live and the importance of looking after bees and helping them to pollinate plants and flowers. 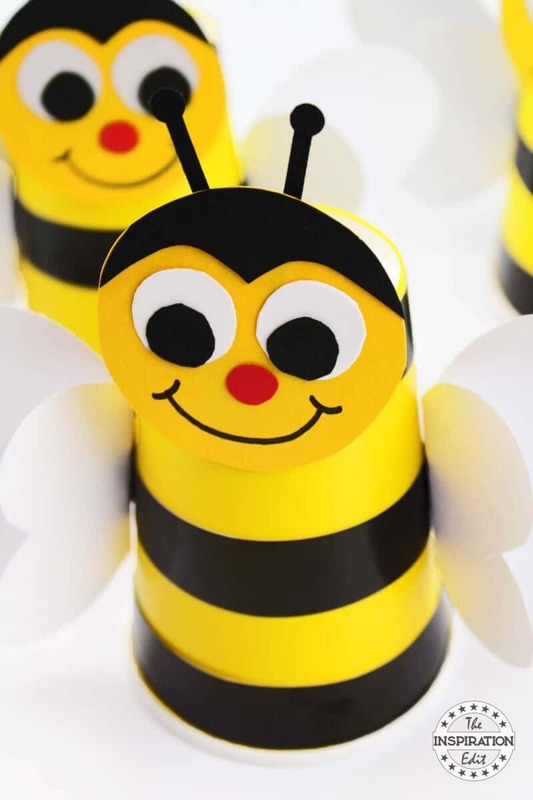 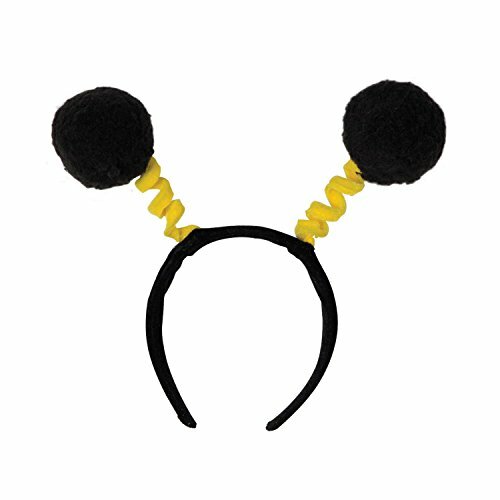 I hope you enjoy this easy bumble bee craft idea. 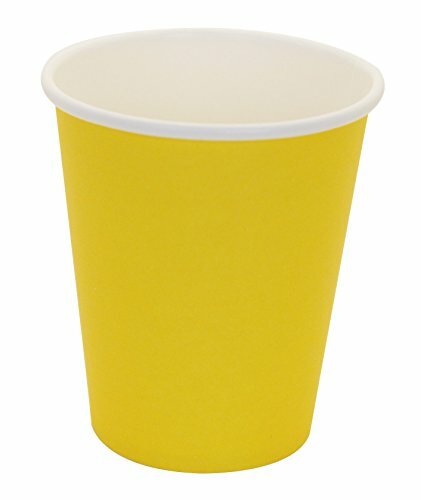 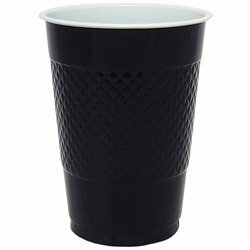 Glue the strips onto a yellow cup. 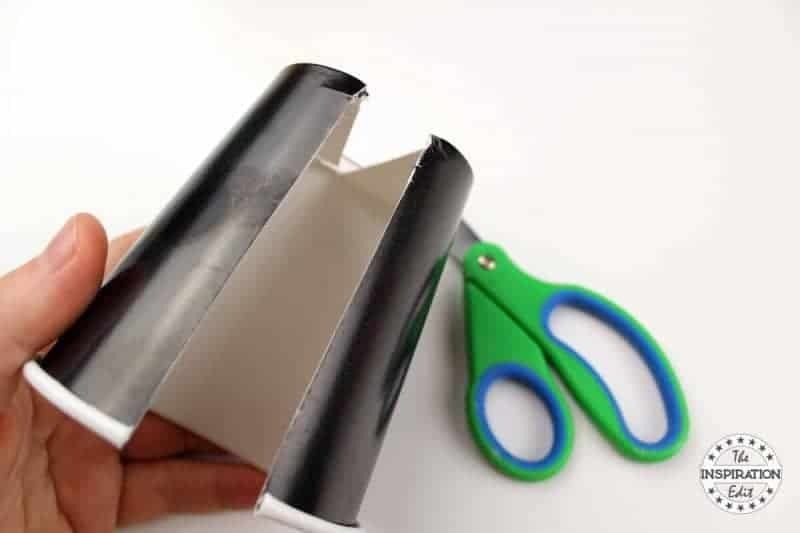 (refer to the photo) Allow the glue to dry completely. 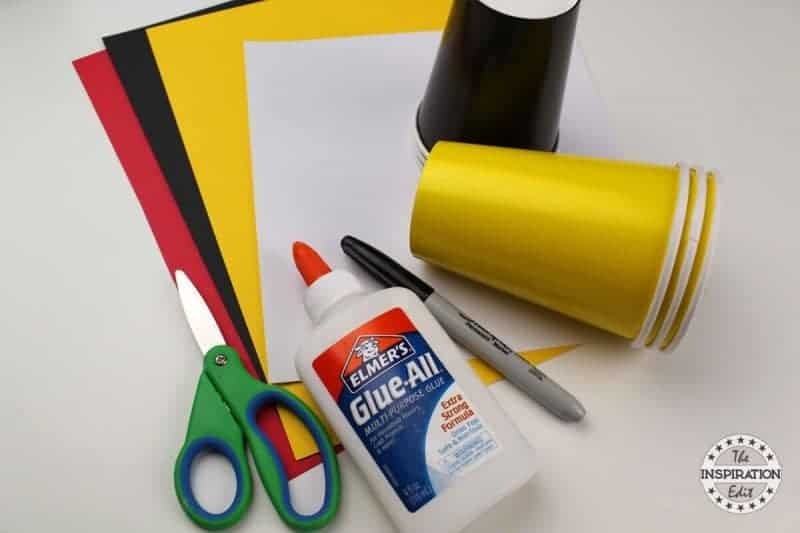 Trace the template onto cardstock or construction paper and cut out. 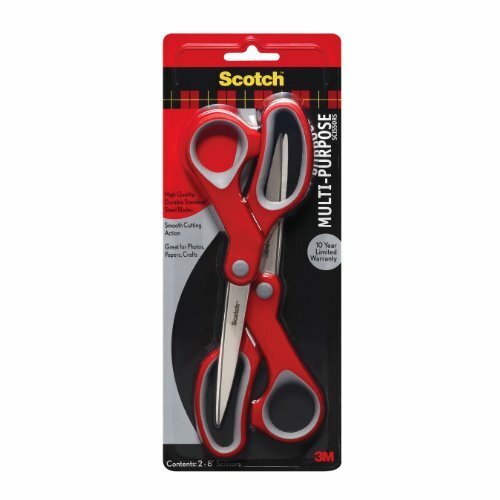 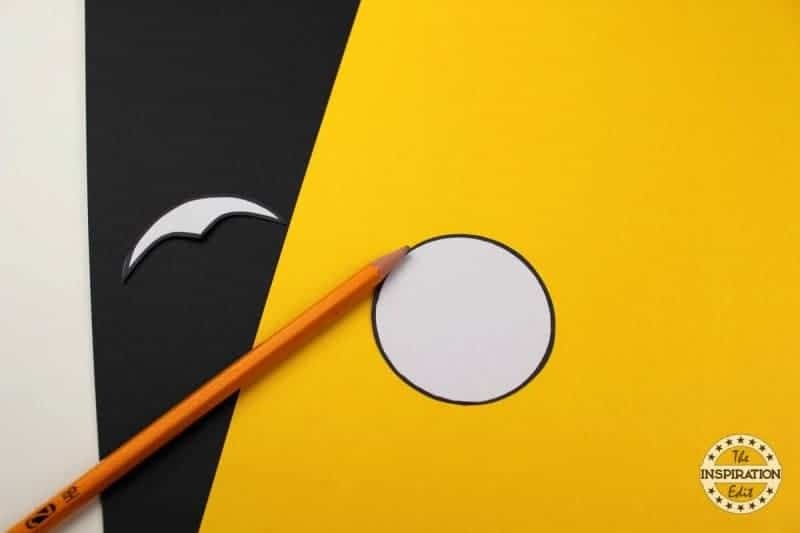 Glue the black part of the head onto the yellow part of the head and then use scissors to trim off any excess paper. 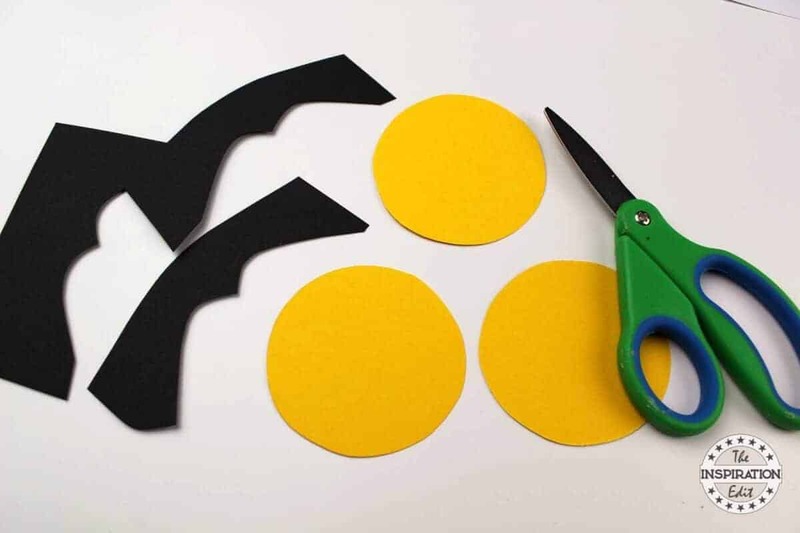 Cut 2 circles from white cardstock and 2 smaller circles from black cardstock. Glue together. 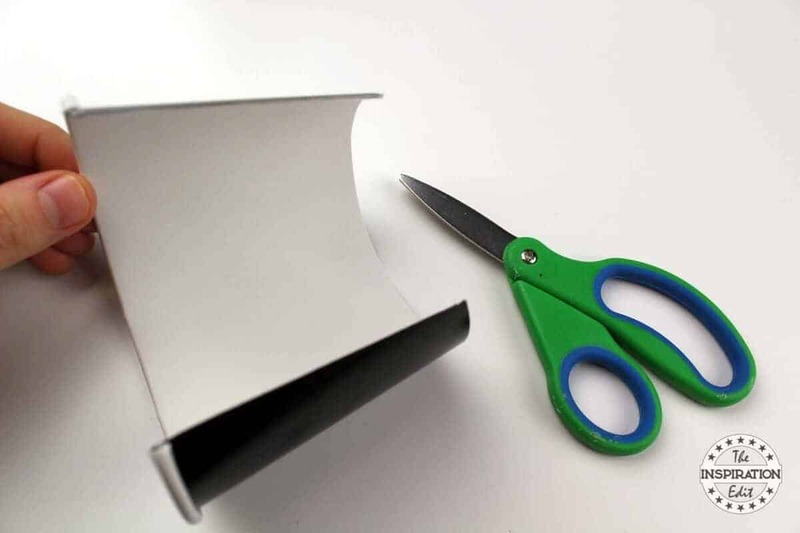 Cut a small circle from red paper. Cut 2 small black strips from black paper and 2 tiny black circles. 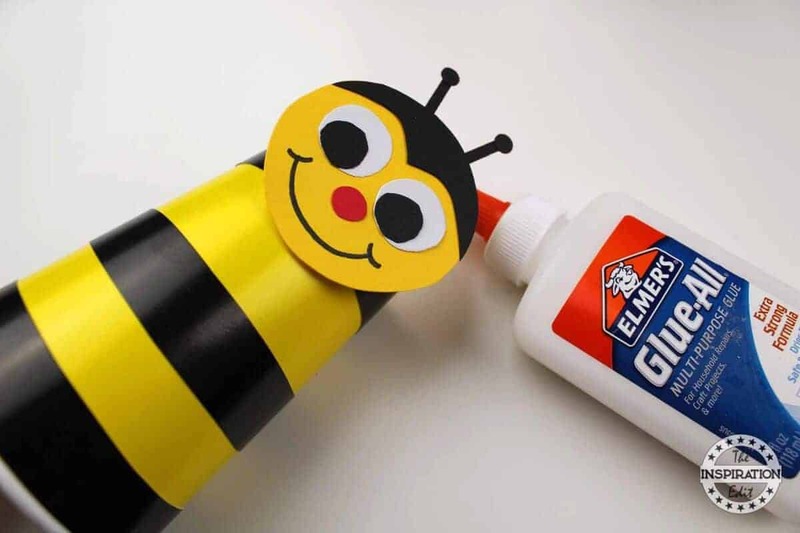 Glue the circle at the top of each strip. 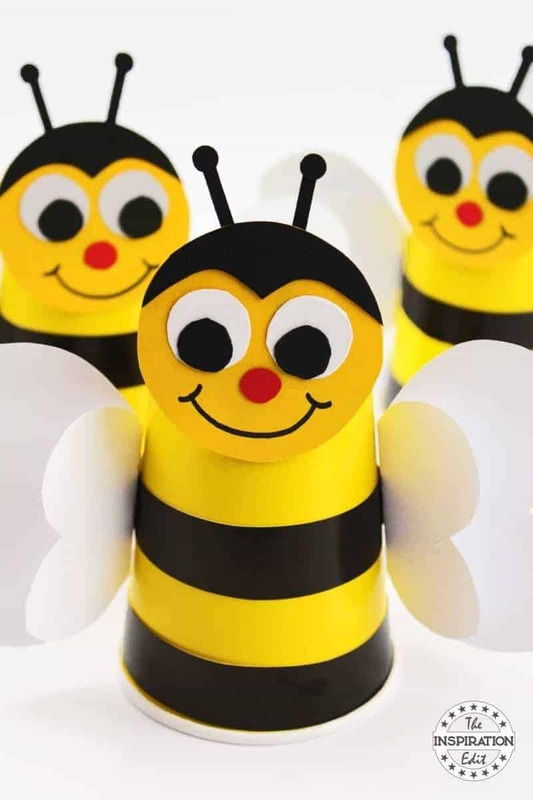 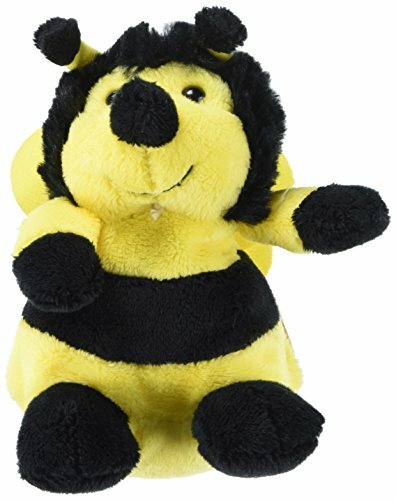 Glue the eyes, nose and antantee onto the bee’s head. Use a black marker to add a smile to the bee’s face. 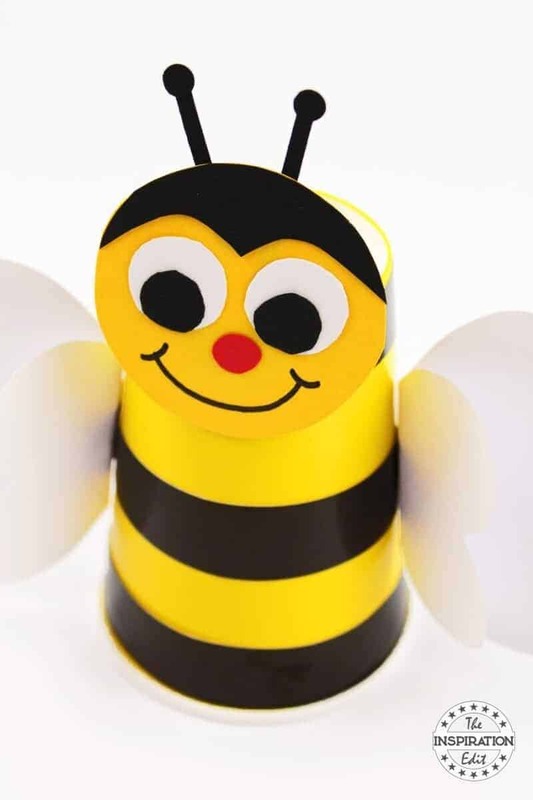 Glue the bumble bee’s head onto the cup. 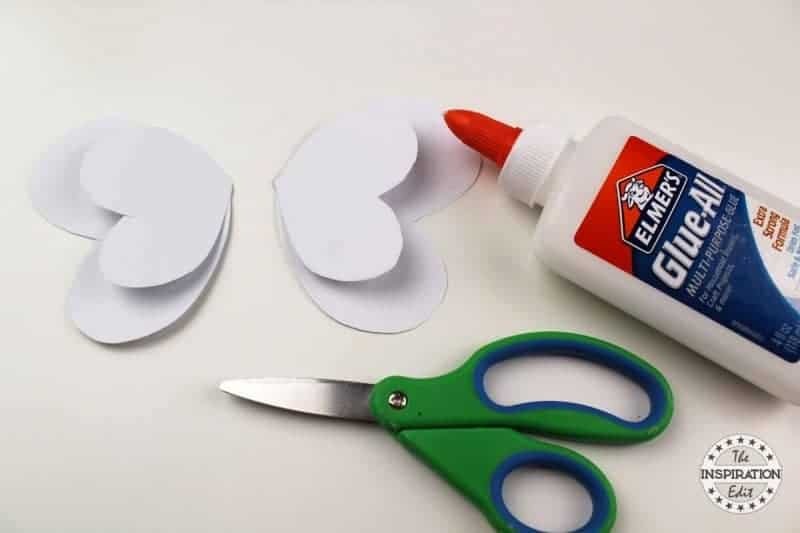 Glue the smaller and larger pieces of the wings together. 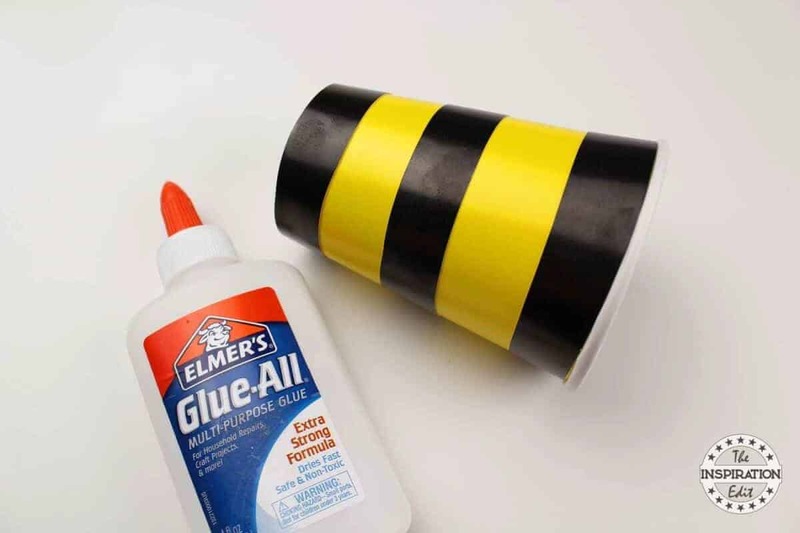 Glue the wings onto each side of the cup. 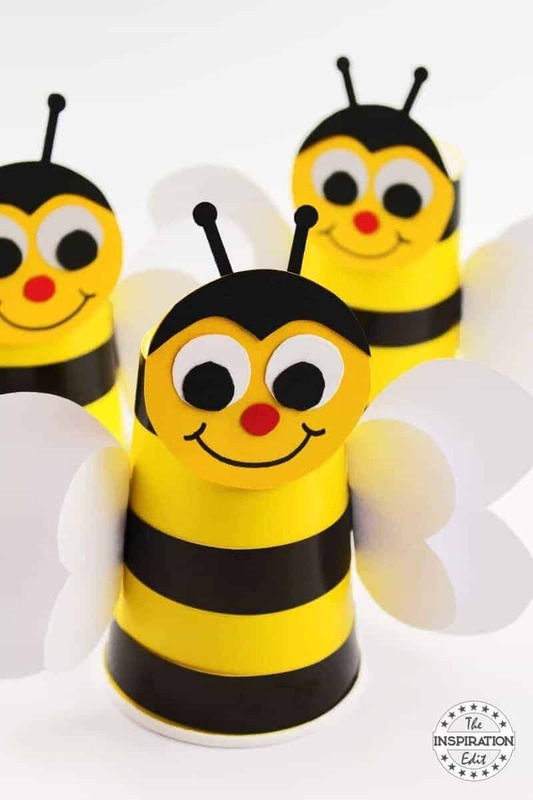 Your paper cup bees are finished! 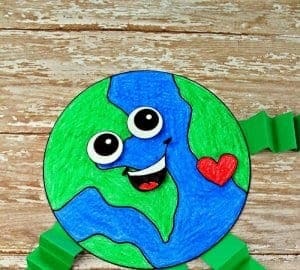 This makes a wonderful classroom craft project. 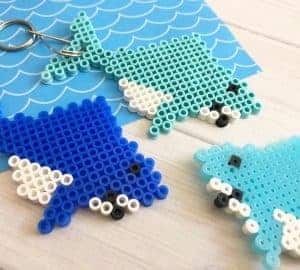 It’s inexpensive and easy!